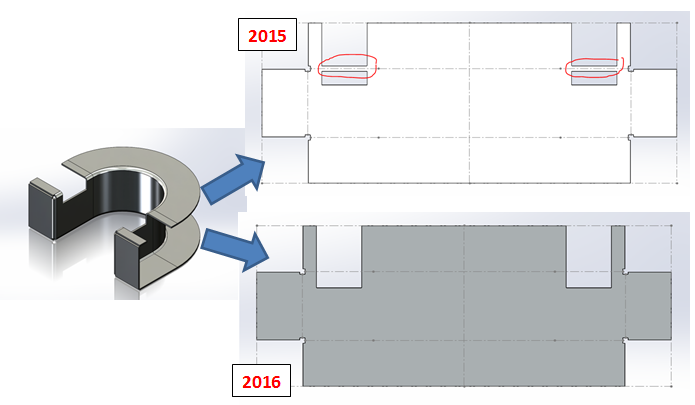 I recall vividly that I demonstrated Swept flange during SOLIDWORKS INNOVATION DAY year of 2012. It is a great tool and makes sheet metal design work so much easier using a profile and sketch. 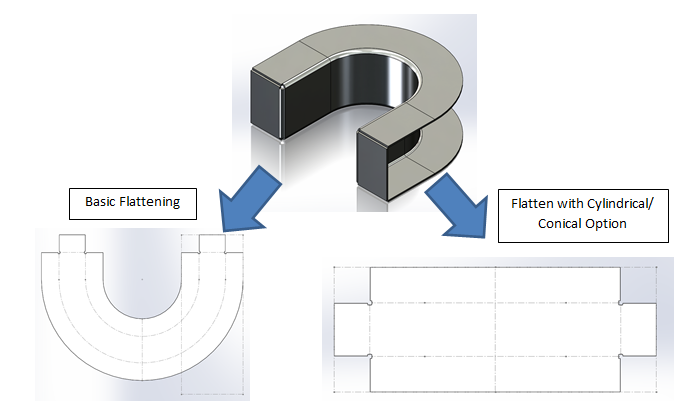 However, in certain circumstances in previous versions of SolidWorks, Cylindrical and Conical Sweeps could unfold about the wrong edge or path direction. This features has gone through one enhancement during year of 2014, swept flange flatten can be controlled precisely which edge to anchor the part from when unfolding. Previous years, any cuts, holes, chamfers, or fillets on the bend region of the swept flange do not appear in the flat pattern. Now, you can add standard or normal cuts through the bend regions and it is accurately shown in the flattened shape. If you haven’t already register to attend SOLIDWORKS Innovation Day, don’t miss it, REGISTER HERE and reserve your seat to attend the launching event to explore more new enhancements that will completely change the way you create sheet metal designs!